Sports Card Info To Launch MAJOR Contest Tomorrow! Regular followers of Sports Card Info know that every week there is some type of contest. Tomorrow at 6:00pm EST Sports Card Info will launch its biggest contest ever. This is one that you won’t want to miss. Be sure to be here at 6:00pm EST tomorrow evening. To hold you all over, here is a distorted look at one of the items. Feel free to speculate! Congrats to Sport Card Collectors on being the lucky winner of the Sports Card Album Launch Contest!!! Once Sport Card Collectors sends me their mailing address, I will ship this package ASAP. Thanks! Sports Card Album has officially launched and collectors from all over the world are uploading their collections to the site. Now collectors have a site specifically designed by them and for them to meet all of their collecting needs. The best thing about it… you can use it directly from your smartphone and other mobile devices. I’m already using it. This morning I uploaded my entire Harry Kalas collection for the world to see. Be sure to follow Sports Card Info on Sports Card Album too. I love the idea of being able to follow other collectors and see what they add. Collectors have been wondering what the future of this great hobby will be, and I believe Sports Card Album is going to play a major part in it. Sports Card Info was chosen as an official blogging partner for this launch. That comes with some great perks, meaning I get to give stuff away. Sergio from Sports Card Album sent over a package with all kinds of stuff in it. 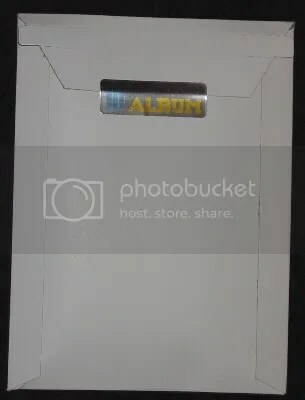 This contest will be for the sealed Sports Card Album envelope you see pictured below. I have no clue what is inside. All I know is that its heavy with cards. In order to be eligible for this contest, all you need to do is comment on this post, and follow Sports Card Info @sportscardinfo and Sports Card Album @sportscardalbum on Twitter. You can enter once per day. Just come back to this post and comment for your multiple entries. This contest will end on Tuesday, July 16, 2013 at 8:00 p.m. Good luck!! !